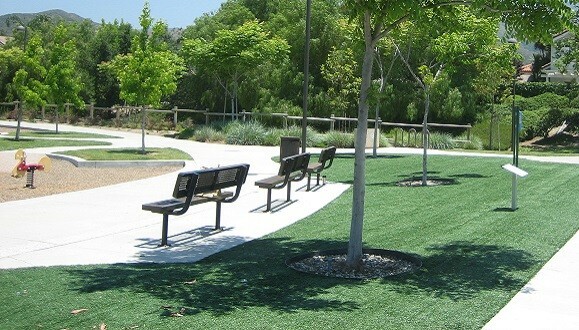 Conservation is a key focus for todays urban developments. 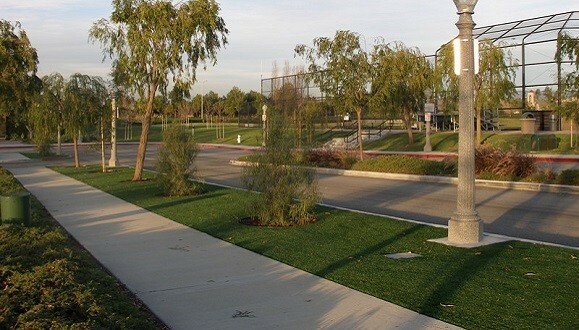 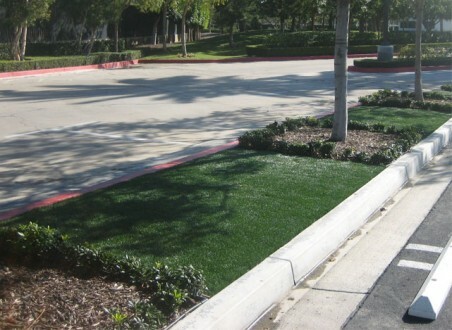 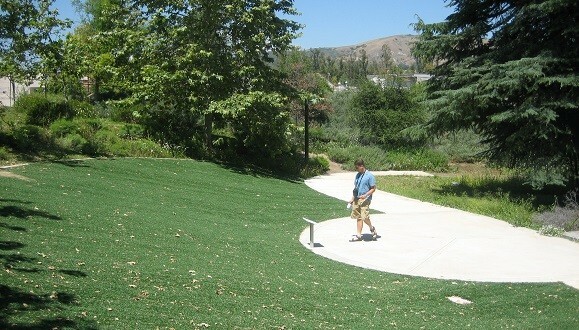 Often found curbside, on medians, in front of commercial buildings, and also in parks, PolyTurf’s permeable, rapid draining artificial turf products allow municipalities to decrease water usage, manpower, and storm water run-off, saving money and the environment 365-days a year. 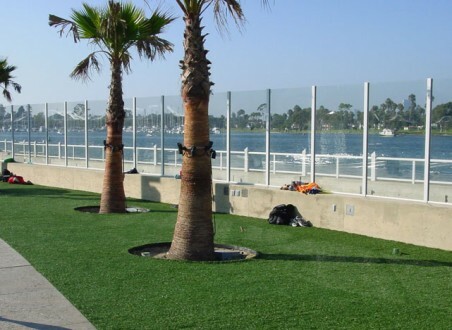 PolyTurf's recyclable artificial grass can be sustainably disposed of at the end of it's life and is also made with recycled content. 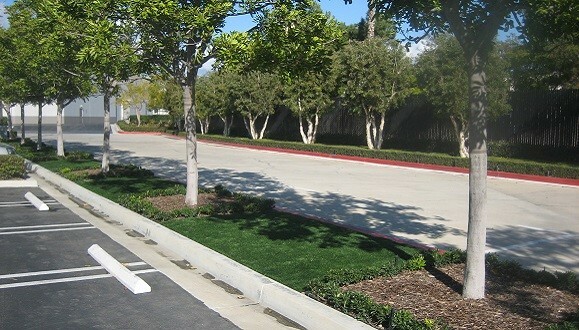 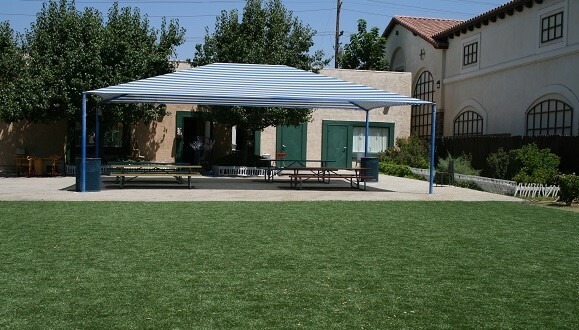 PolyTurf's affordable synthetic turf is virtually maintenance free, reducing noise and emissions from maintenance equipment while eliminating the associated dangers of working in high traffic areas such as medians and streetscapes. 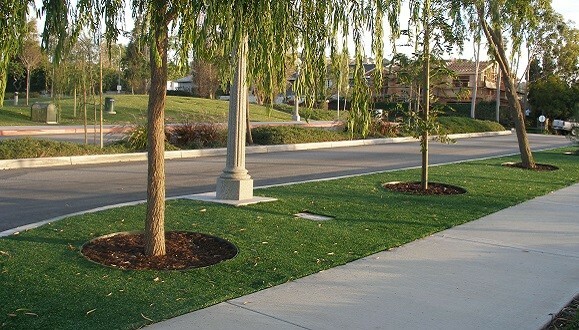 Set an example for the community by removing water intensive lawns, medians, and streetscapes and replace them with artificial turf.